The Big Prawn's story began in 1989 when it was built without a tail. Its first home was on top of a service station in West Ballina, New South Wales, Australia. Brothers Attila and Louis Mokany, from Hungary, developed service stations around NSW and decided to build big things to help attract road trippers to their business. 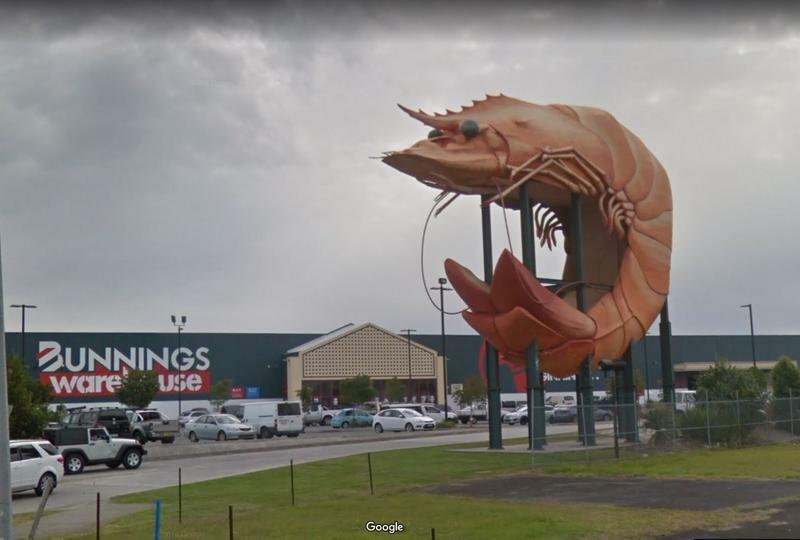 The future of the big prawn was put in doubt when the service station closed in 2010 and the Ballina Shire Council had voted to allow the prawn to be demolished. But the public pressure saved the prawn from being torn down. 2012 a multinational hardware store bought the site and restored the prawn, completed it with a tail and set it up again. 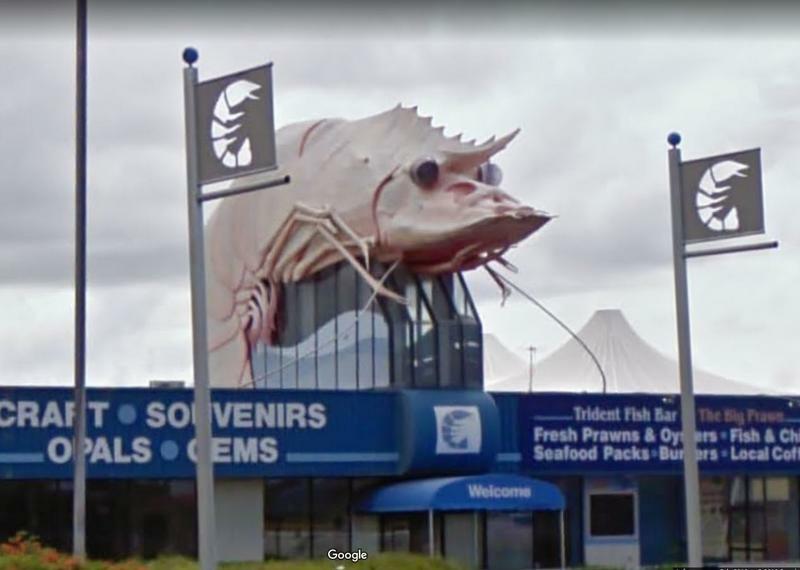 The Big Prawn stands 9 metres high and weighs 35 tonne.